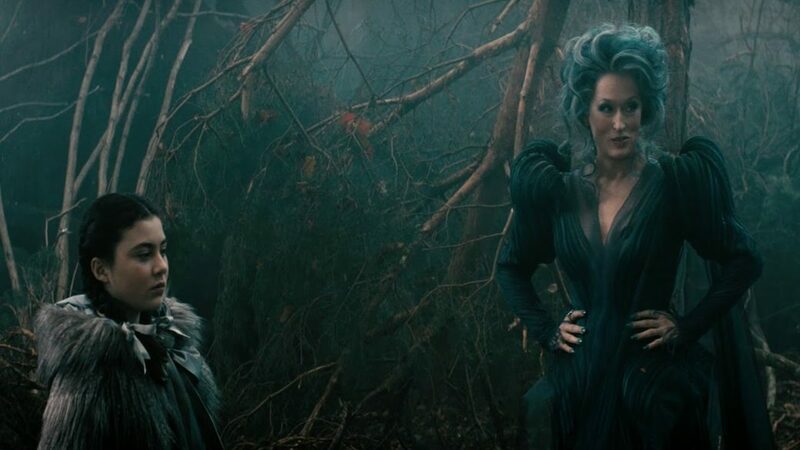 Into the Woods (2014) – WHO IS THE MAN FROM KRYPTON? ‘Into the Woods’ is a film of two halves, which is the number one sign that a film is based on a play or musical as it is very difficult to take a 2 act structure of a play and mould it into a 3 act film without affecting the overall flow. With that said, the two halves of this film are shockingly different and seem smashed together with no thought given to the flow of the film or the pacing. The tonal shift from the first act into the second act is so jarring it makes the two halves indistinguishable from one another, which is truly a shame as the first act was close to perfect. The first act is this funny, camp, lovable musical filled with great songs and a lot of fun energy throughout, it just screams at you with so much joy and warmth that you can’t help but love it. The second act suddenly loses all the joy and magic that made the first act so special and it becomes a little more dreary, a little darker and a lot less fun. The musical numbers become less frequent, the energy of the cast dulls and most of the characters take a turn for the worse. The cast in the first half are amazing, they have great chemistry with one another, they play their roles excellently and they all seem to be having a lot of fun. Unfortunately, come the second act, that all changes, as the tone shifts to a slightly more serious one, the characters lose a bit of fun and energy and that reflects with the actors themselves. Meryl Streep is the only shining light throughout the whole film, she hams it up brilliantly, chews the scenery and it seems as though she really loves her role, and her love for the role is infectious as although she is an antagonist of the film, it is impossible not to enjoy every moment she is on the screen. Johnny Depp was awful, playing the same caricature he plays in most his other films, except this time he has a tail…great. I feel the character of the Wolf could have been played more sinister and it would have been a better fit. The film looks beautiful, save for some wonky CGI, the woods often times feels so alive that it feels like a character in a scene. It is dark, brooding with an err of danger and that tone is set throughout, even through the joyous musical pieces, there is still a sense of danger, delivered in no small part by how great and believable the set looks. The first half of the film was brilliant, so much fun and damned near a perfect film, the second half of the film was a solid 5/10. It truly is a shame how unbalanced the two halves are quality wise, but nevertheless the film was a fun watch and the music was brilliant.